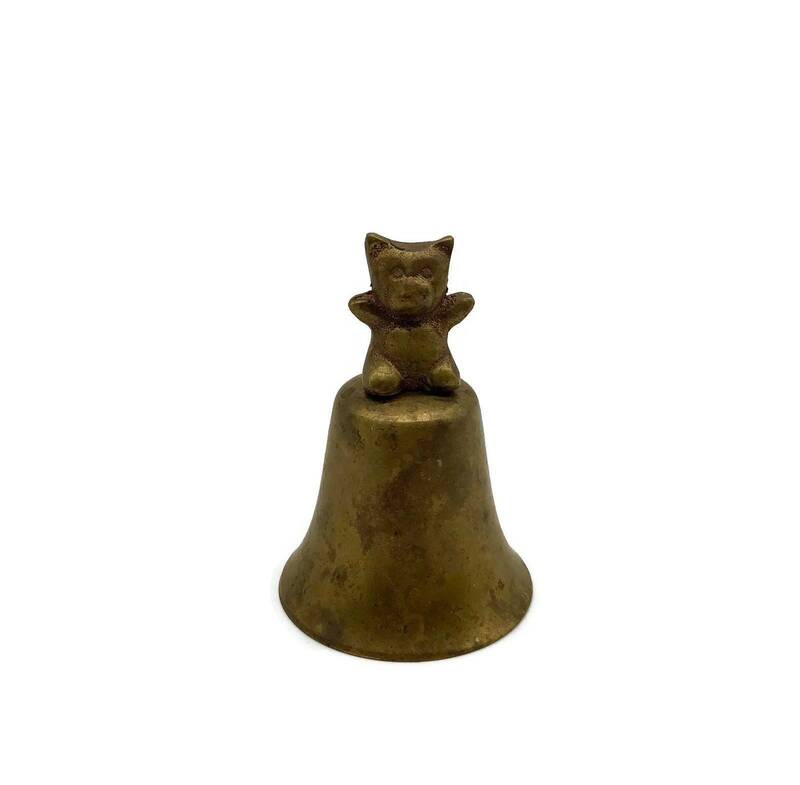 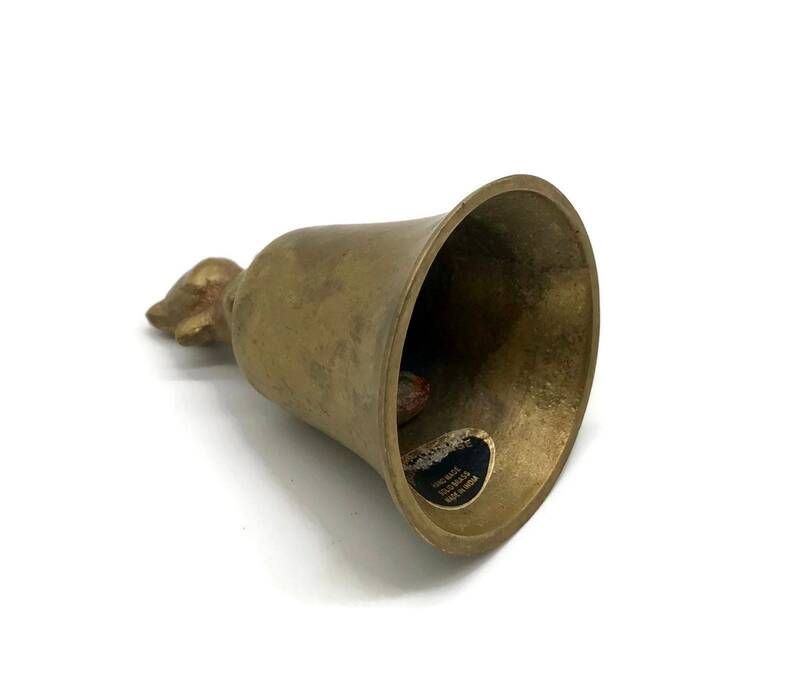 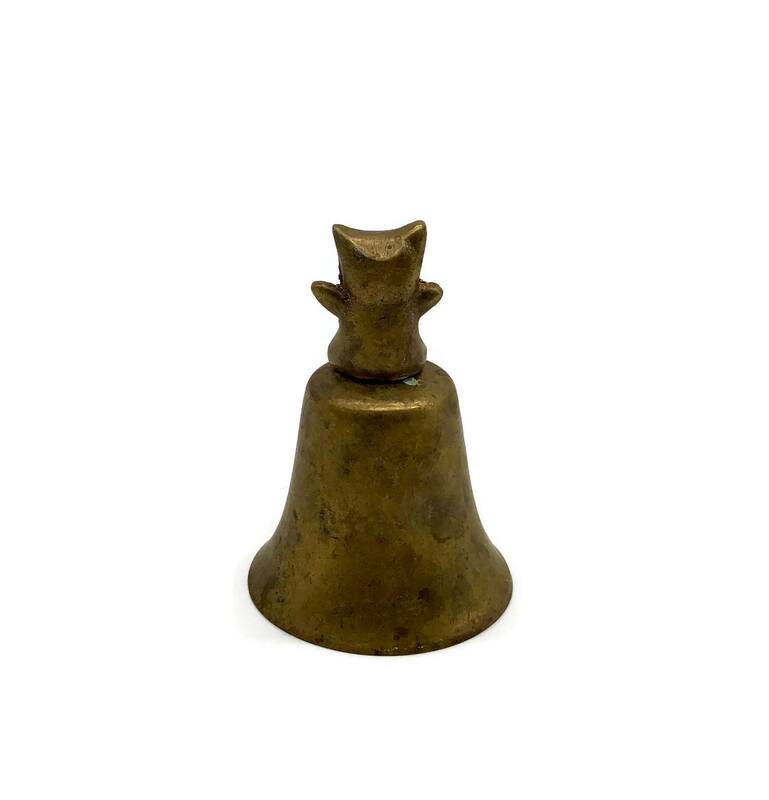 Vintage teddy bear hand bell made in India of solid brass. 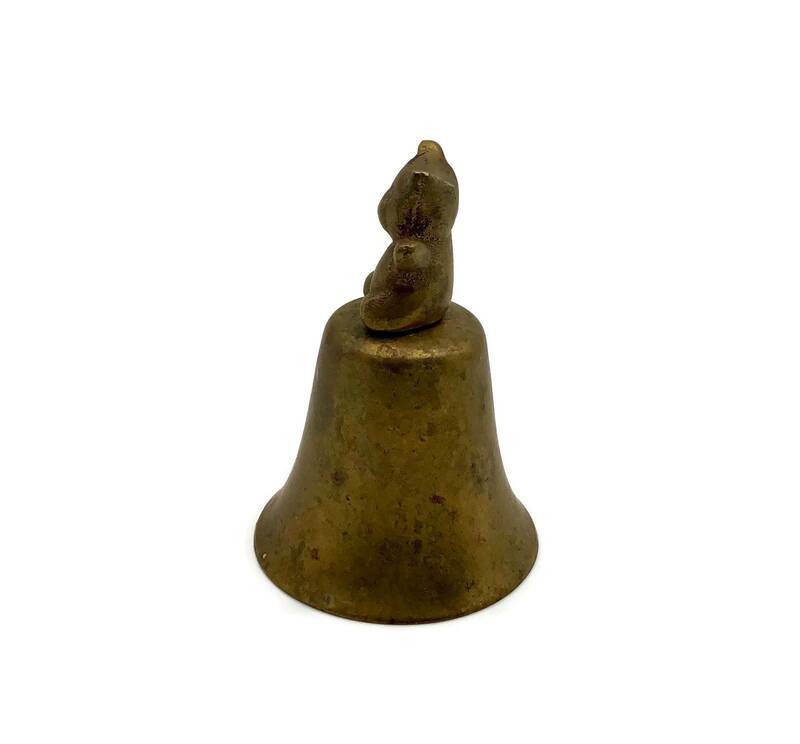 The bell has only been wiped down in order to preserve the patina but could be polished to a shine if desired. 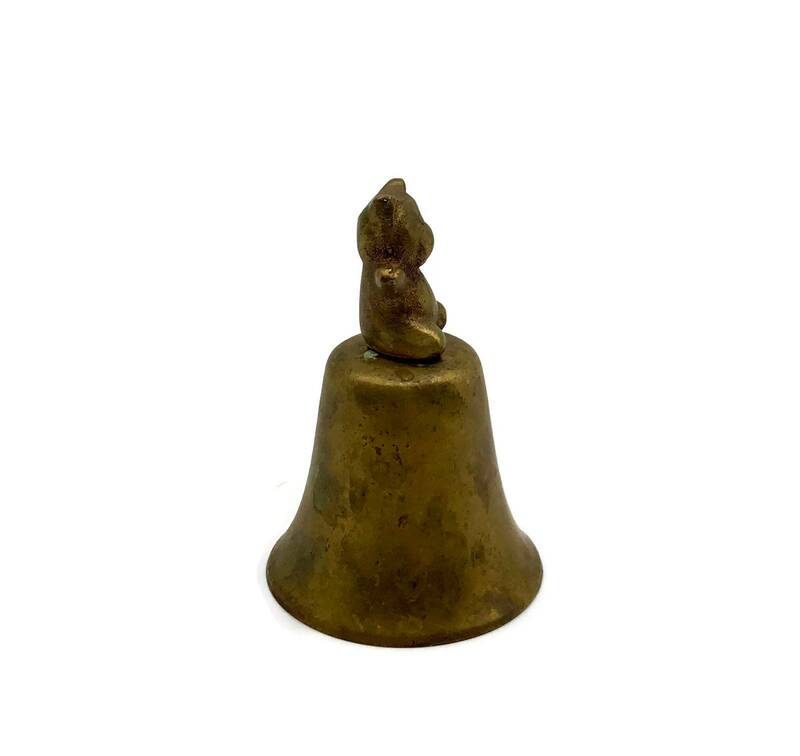 This sweet little bell would make a great baby gift or tucked on a shelf in a nursery.